U.S. 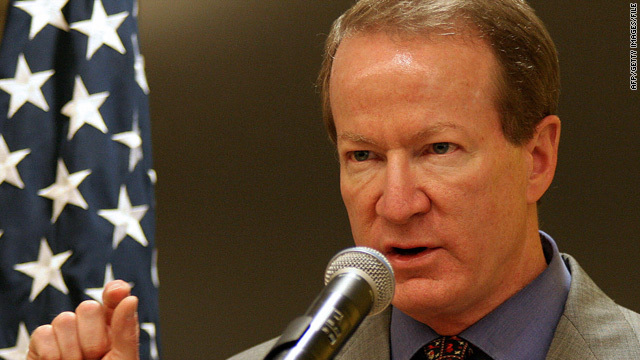 Ambassador to Colombia William Brownfield signed the agreement Friday. (CNN) -- Colombia and the United States signed an agreement Friday that allows U.S. personnel to be stationed at seven military bases in the South American nation. The United States says it needs the bases to help in its fight against terrorists and narcotraffickers, especially since the closure a few months ago of a U.S. base in Ecuador. The United States maintains similar "forward operating locations" in El Salvador and Aruba-Curacao. Colombia's agreement to host the Americans has come under harsh criticism in Latin America, particularly from President Hugo Chavez in neighboring Venezuela. Chavez has likened the agreement to an act of war and accuses the United States of wanting to stage military personnel nearby to destabilize his leftist government. The U.S. forward operating location in Aruba-Curacao is off the northern coast of Venezuela. The United States linked Colombia's agreement to a trade pact the South American nation wants. Colombia also stands to gain from U.S. help in the nation's 45-year-old war against Marxist guerrillas known as the Revolutionary Armed Forces of Colombia, commonly called FARC. Colombian Foreign Minister Jaime Bermudez, Defense Minister Gabriel Silva and Interior and Justice Minister Fabio Valencia Cossio were joined by U.S. Ambassador William Brownfield in signing the document Friday in Bogota, the nation's capital.